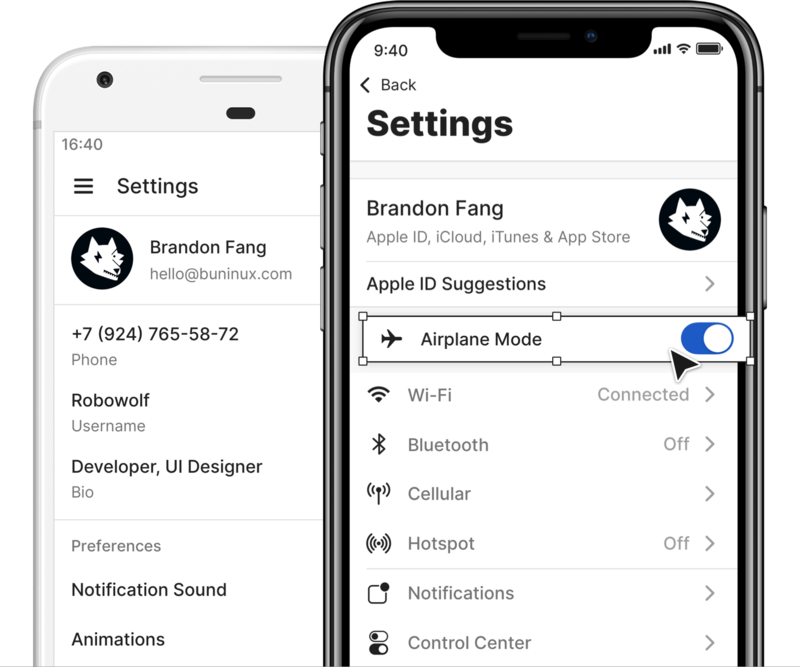 Create better products with bulletproof guidelines built within Android & iOS components to provide better results at maximum confidence. Component-based approach to design and prototype using Sketch app best practices. Ultimate-precise guidelines built into overriding symbols to grant full control on every detail. All building blocks are made responsive to fit various interface states and screen sizes, granting a significant time saver. Auto-updatable style guide and type system built to easily match your brand and maintain consistency across projects. Includes a set of Android & iOS templates to help you discover different visual options and quickly build prototypes. Design for both platforms using Material.io & iOS guidelines built within a single styles library. Share, collaborate and extend Plaster functionality by using helpful plugins, and popular applications made to widen your creativity and automate processes. Includes Roboto free fonts, Material and iOS icons. We send email notifications and tweet when the new version is released. If you already bought Plaster just go to the Product page and download the latest version.